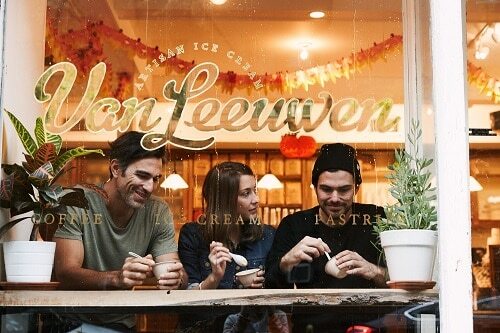 We make all our ice creams from scratch in Greenpoint, Brooklyn. The Classic scoops are crafted with nothing more than fresh milk and cream, cane sugar and egg yolks. The Vegan scoops are made with house made cashew milk, organic coconut milk, organic extra virgin coconut oil, organic cane sugar, pure cocoa butter and organic carob bean. Both recipes result in a rich, decadent, naturally perfect ice cream.